Muscle floss bands (aka voodoo bands, or voodoo floss bands) are a recovery/rehabilitation tool meant for muscle recovery and dealing with joint mobility issues. You wrap them around an injured limb or extremity or joint capsule (such as the shoulder or hip) with varying degrees of compression. You then move, using compression, restricted bloodflow, and mobility to get the injured area moving properly. Then the bands come off, blood flows back into the area, and the theory goes that your restriction or difficulty should be eased. The bands are about 7' long unrolled, and 2" wide, and only a few mm thick. 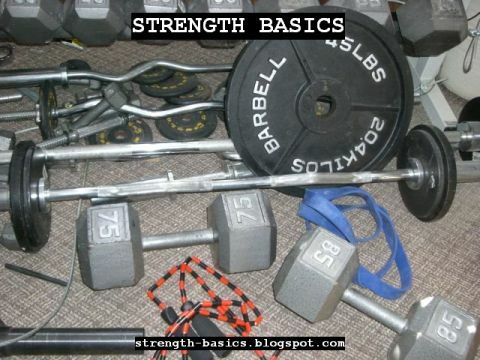 They're very easy to put on your own legs, and a little more difficult on arms and shoulders (although you can always roll it around a barbell, and then wind your arm around the band.) They give sufficient tension without being too tight or stiff. They are also easy to clean, roll up, and store. Personal Experience: I first saw this style of bands in use in a pair of books by Kelly Starrett - Ready to Run and then in the 2nd edition of Becoming A Supple Leopard. A cut bike inner tube was offered as a DIY solution, but it was much less complicated (and not really more expensive) for specifically-designed bands. Since I suffered from some of the same issues the bands were being used to clear up, I decided to try them. For me, these were a game-changer. When rehabilitating a long gummed-up knee, I often found it would be tight and achy post workout. It would take one or two days of foam rolling, stick rolling, self-massage with my hands, and topical rubs to get it to relax and return to normal. When I tried wrapping it with these bands and moving the knee around its normal range of motion, it returned to normal almost immediately. Why it was so effective isn't 100% clear - was it the compression? Was it pinning down the surface tissue and allowing the joint to move freely underneath? Was it just getting me to move it while distracted from the aches by the pressure of the bands? It's not clear - but it worked. They haven't been curative, but they have allowed me to bounce back from my strengthening and mobility exercises more quickly. It is my go-to solution for tightness and aches in my joints. I don't use "game-changer" lightly - I don't deal with my knee aches and inflexibility the same as I did pre-floss band. Overall: If you have a muscle or joint injury which seems to respond well to compression coupled with movement, consider giving floss bands a try. Check with your medical professional first! The WOD Nation bands are sturdy, easy to use, easy to care for, and easy to roll back up. They are high quality and useful. If you're getting muscle floss bands, this is an excellent product.